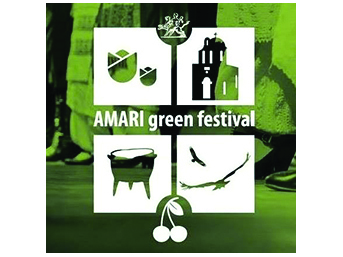 Rezos Brands in the framework of the European project entitled “Big Picnic: Big Questions – Involvement of the Public with Responsible Research and Innovation in Food Security” (Horizon 2020-ISSI-2015-1) in which he participates as an associate partner, disposed its products to the 2nd Amari Green Festival, which took place on 21st – 25th July in the area of the Asomata School of the Municipality of Amari of Rethymnon, Crete. The main partner from Greece is the Balkan Botanic Garden of Kroussia, which is part of the Hellenic Agricultural Organization – Dimitra (ELGO-DIMITRA). At the highly successful festival, the visitors of the event showed particular interest in our products. We would like to thank the Balkan Botanic Garden of Kroussia and Dr. Maloupa Helen, Director of the Institute of the Organization who participated in this project, for the invitation and the trust that she shows to our company and our products. We look forward to even more creative partnerships in the near future.